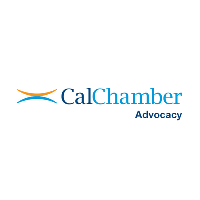 The California Chamber of Commerce and the Internal Revenue Service (IRS) are reminding employers that January 31 is the filing deadline that applies to filing wage statements and independent contractor forms with the government. The Protecting Americans from Tax Hikes (PATH) Act requires employers to file their copies of Form W-2, Wage and Tax Statement, and Form W-3, Transmittal of Wage and Tax Statements, with the Social Security Administration by January 31. The January 31 deadline also applies to certain Forms 1099-MISC, Miscellaneous Income, filed with the IRS to report non-employee compensation to independent contractors. Such payments are reported in box 7 of the form. This deadline makes it easier for the IRS to verify income that individuals report on their tax returns and helps prevent fraud. Failure to file these forms correctly and timely may result in penalties. As always, the IRS urges employers and other businesses to take advantage of the accuracy, speed and convenience of filing these forms electronically. An extension of time to file Forms W-2 is no longer automatic. The IRS will grant extensions only for specific reasons. Details can be found on the instructions for Form 8809, Application for Extension of Time to File Information Returns. The IRS noted that some employers who ordered paper information and employer returns may not receive them in time to meet the January 31 deadline and should consider an alternate source for these forms. The IRS is filling these orders as quickly as possible. Click here for more information. For more information, read the instructions for Forms W-2 and W-3 and the Information Return Penalties page at IRS.gov.